Iranian FM Zarif slams 'bipolar demonization' of Iran, says it indicates 'cognitive disorder' on the part of the US. Iranian Foreign Affairs Minister Mohammad Javad Zarif on Friday slammed the US "demonization" of Iran, claiming it indicates a "cognitive disorder." 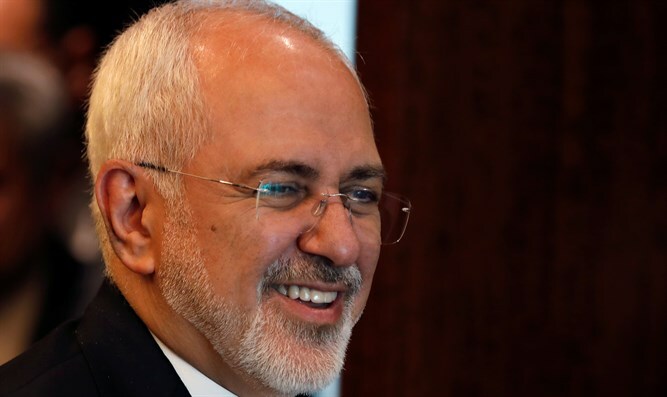 "Bipolar demonization of Iran as either 'taking over MidEast' or 'fighting for survival' indicates US cognitive disorder & demagoguery unleashed by collapse of America's moral compass," Zarif tweeted. "Iran has been and always will be a stable, powerful & responsible regional actor." Over the past few months, Iran has moved several dozen ballistic missiles to Iraq. From there, the missiles are capable of targeting either Israel or Saudi Arabia. On Thursday, newly-published satellite photos showed that Iran is constructing a missile factory in Syria, scheduled to be completed in early 2019.